We can provide you with competitive, current fuel prices for red diesel, DERV, kerosene, heating oil, adblue, lubricants and much more. As one of the largest fuel oil suppliers in the UK, Crown Oil is in prime position to be able to supply you with a whole range of fuels and lubricants, anywhere in the UK! Thanks to our buying power, we’re able to buy in bulk which enables us to make huge savings on the fuels and lubricants we purchase. We then pass on these savings to our customers, enabling us to offer pricing that many of our competitors are unable to match. Not only can we help you save money on your next order of fuel oil and provide you with delivery anywhere in the UK. But we also offer some of the longest payment terms in the fuel industry, enabling you to spread the payments over a longer period of time! To receive a quote on today’s current fuel oil prices, call us today on 0845 313 0845 and speak with one of our fuel oil specialists about your fuel oil needs and requirements. When you’re reliant on a fuel supplier to deliver on time, every time in order to keep your business running smoothly. Often, price takes a back seat in order to ensure you’re not left waiting when you need it most. We’re the UK’s largest independently family owned business, so you can be sure will won’t let you down on your fuel oil order. You can learn a little more about us by watching the video below. Or call us today for a quote based on the current fuel oil prices, by calling 0845 313 0845. One of our friendly team will be able to help you and answer any questions about our fuels and lubricants. Why do our customers choose us for current fuel oil prices? Fuel Savings – We buy in bulk and pass on these savings to our customers. Call today for a quote and see how much you can save. 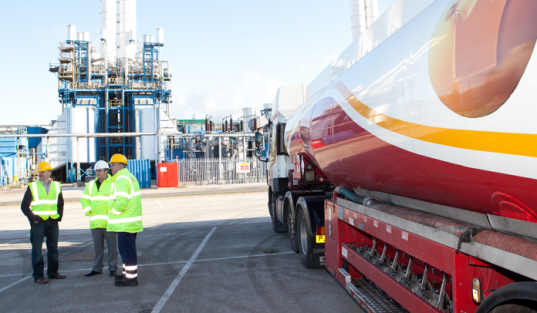 Payment Terms – We offer long payment terms, enabling our customers to get the fuels they need today, with the flexibility to structure the payments. Emergency Deliveries – If you ever run low on fuels and lubricants and require an urgent top-up. No need to wait days, we offer Same and Next Day Deliveries! UK Wide Network – We have fuel depots across the UK, enabling us to reach business and domestic customers anywhere in the UK. Family Owned – We’re one of the UK’s Largest Independent Fuel Suppliers, a family owned and operated business. Est. in 1947 – With over 70 years’ experience of supplying fuels and lubricants. We’re one of the most experienced and trusted fuel suppliers in the UK. Ready to start saving on fuels and lubricants? Give us a call today on 0845 313 0845 for a fuel oil quote and to answer any questions about our products and services.